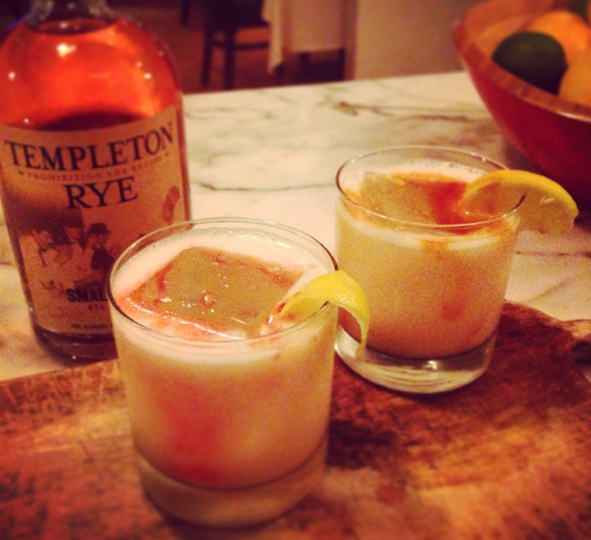 A real rye sour cocktail contains egg white. This drink whips up into a pleasant surprise as the egg, lemon and sugar make a frothy base that turns into the consistency of a milkshake and chills very nicely. Double shaken with 2 ounces of Rye whiskey, a single king cube of ice and dashed with Pechard’s red bitters or Angostura bitters.